Gotham is part of New York City’s rapidly growing biopharma community with a subsidiary in one of Europe’s leading life science clusters near Munich, Germany. Headquartered at the Alexandria Center for Life Science in Manhattan’s East Side Medical Corridor, Gotham is surrounded by high-quality life sciences entities, from multinational pharmaceutical companies to early- and growth-stage companies. The campus offers Gotham’s employees a unique environment to continue to grow personally and to contribute to accelerating innovation at our firm. The Munich region represent the most successful hub for biopharmaceutical companies in Germany and is one of the key biotech clusters in Europe. Build around two of its leadership team members, Gotham’s European office serves crucial functions in R&D and BD as well as in orchestrating our CRO and other industry partner network. 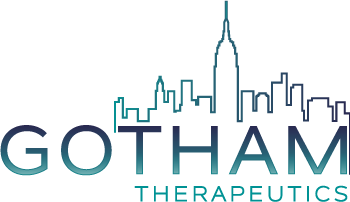 Gotham Therapeutics will be moving at the forefront of epitranscriptomics research and drug discovery. Staying in touch with us means staying up-to-date on the field.